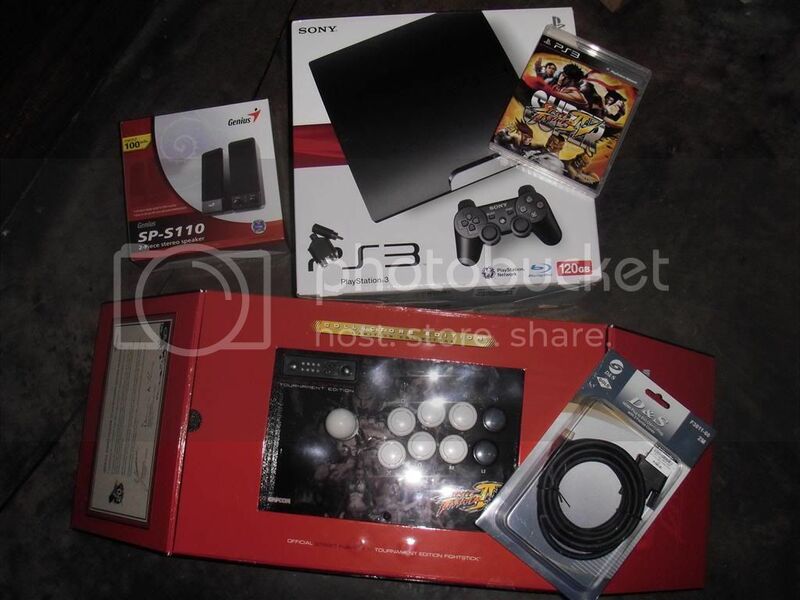 Just got a brand spanking new PS3 as a gift from my ever loving younger brothers, and all I'm planning to play is Super Street Fighter IV. I realized quickly that I really wouldn't be able to play consistently if I use our household television since everybody else watches their shows on it. So I figured I'd have to use my AOC LED Monitor as my display that way I'd have no competition what so ever since it's totally mine. 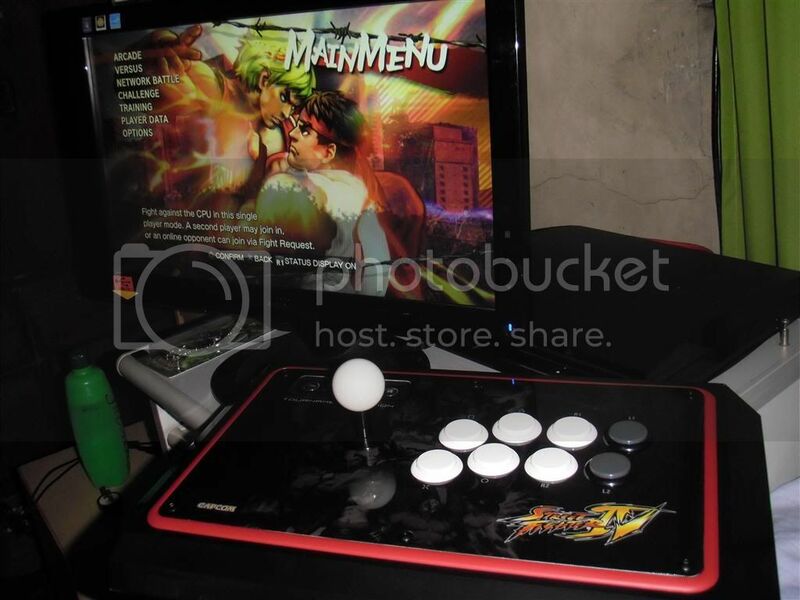 In this post I'll give you a quick run down on what you need to do to have your PS3 up and running on your own monitor. And don't worry it's as easy as plugging in a couple of stuff. So check the break for all the action. 2.) 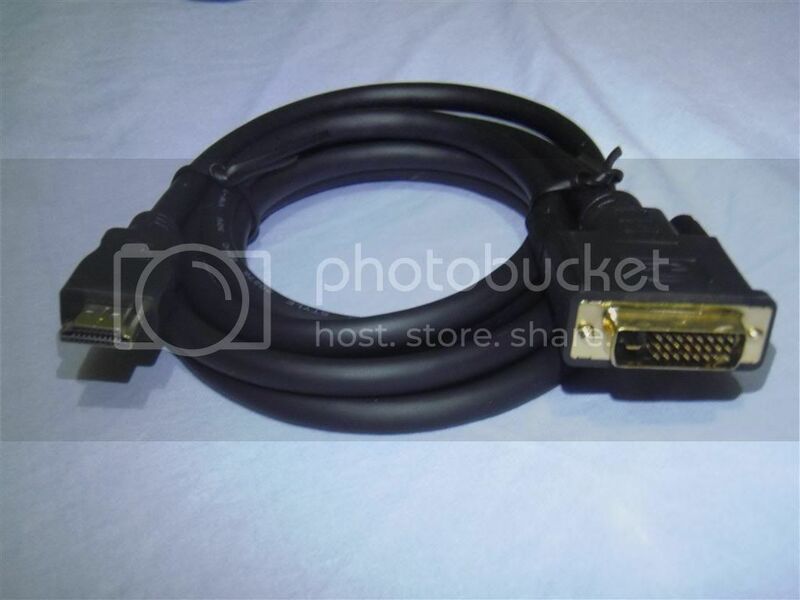 HDMI to VGA or DVI Cable. Depending on what your monitor supports. Here I have a HDMI to DVI Cable since I use the VGA for my computer. 3.) 2 RCA Plug to 1 RCA Plug Adapter and RCA Plug to 3.5mm Jack. 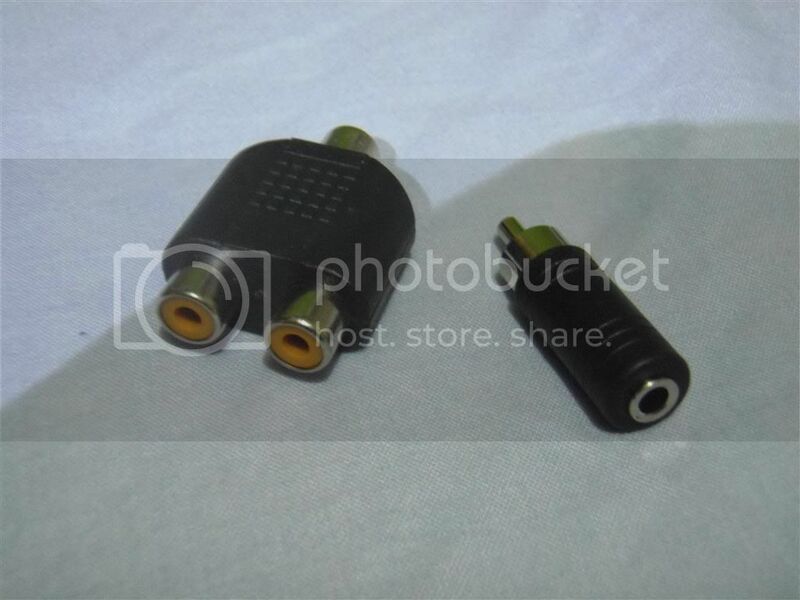 Since your monitor doesn't have any speakers built in we need these adapters to be able to add an external speaker. 4.) Speakers. I just bought some cheap ones since I really wouldn't need anything too powerful. 5.) 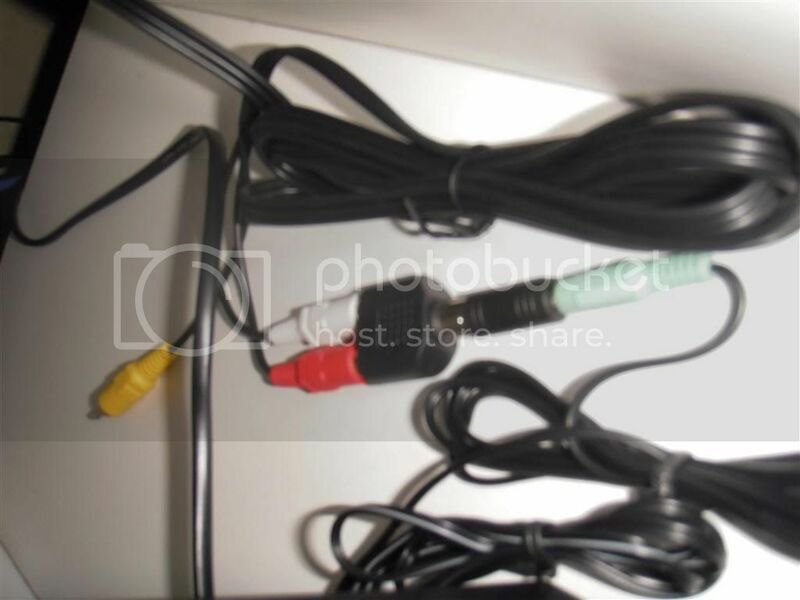 The AV Cable that comes with the PS3. If you have all that we're ready to set everything up. 1.) First of connect the HDMI plug to the PS3 and the DVI or VGA plug into the monitor. 2.) Connect th AV Cable to the PS3 and then plug the white and red RCA's to the adapter and then the speaker to the 3.5mm adapter. When you're done it should look something like the picture below. Don't worry about the yellow RCA plug as that's the one for video since we're using HDMI. Now you're all set up. When you turn everything on your PS3 will ask if you want HDMI as your source for video and audio, just go ahead and say yes. Don't worry we'll still get the audio from the AV cable going to the external speakers. One thing I noticed is when you're on the PS3's main menu you'll see an "Output Not Supported" message annoyingly float around the screen. Don't worry about it, it goes away when you're in the game itself. 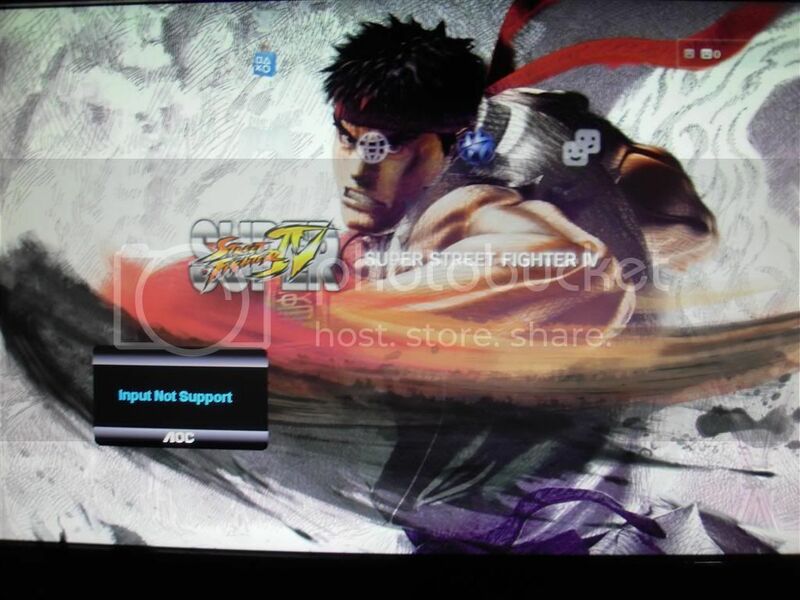 I'm not sure why but it only shows up when you're on the PS3 main menu. That's how easy it is. Just post any questions on the comments and I'll try to figure it out as best I can. your younger brothers are so cool!! :) lol! dud thank you for your guide! i just want to ask where can i buy hdmi to vgi cable and for the sounds 2 RCA Plug to 1 RCA Plug Adapter and RCA Plug to 3.5mm Jack..
thanks for the comment... you can buy everything at ACE Hardware... the adapters are around Php 40.00 if I remember it correctly and the HDMI to DVI cable is around Php 800.00 to Php 1,000.
this is a great alternative way if you can't afford to buy those HDtv's jejeje! hey can u post ur exct aoc monitor model cuz it look just like mines yet i cannot find a dvi port in it only the vga can u help me out? @Jeanko - you can see more images of the monitor I used at this post. Let me know if you need anything else. hi, i just bought an 18.5" phillips LED monitor. i bought an hdmi-dvi cable since the monitor needs a dvi. but when i turned on both my ps3 and monitor, nothing happened. the monitor simply says check cable connection. help. thank you. @anonymous - is dvi the only input of your monitor? If not you might want to check your input source. If it's only dvi your cable might be the problem. Hope that helps. You might want to put in a name next time so we can recognize you. Thanks! also, i just bought the hdmi-dvi cable a while ago so i dont think there is a problem with it. the monitor works on my pc as well. this was anonymous btw. thank you. @million - there's also an hdmi - vga cable and I think it will also display HD. I don't think you have to buy a different cable, try checking your monitor's manual and see how you can change your input source to dvi. Hope that helps. @million - you're welcome! Hopefully everything works out. Thanks for this post. It helped me a lot. Your brothers are totally cool by the way. Hi I have followed your way to connect it to an external speaker, it worked, however the sound is only coming out from one side of the speaker and my speaker are perfectly fine. Do you know of any solution to this? yes jab, both the speakers are connected. my fren has the same issue was wondering why. followed ur guide but its not working..
ok lng po ba rektang hmdi to dvi?? o baka defective ung cable na nabili ko..cdR king po kasi e..